Editor’s note: Dr. Steven R. Martin, Humboldt State University, received the US Forest Service Chief’s Excellence in Wilderness Stewardship Research Award for 2015. In the award notification, these words signified the importance of Dr. Martin’s (and Humboldt State graduate students’) recent contributions to wilderness stewardship through science: Dr. Martin has collaborated with the Leopold Institute, as well as Forest Service and National Park Service units in the Sierra Nevada, to support management and planning decisions by employing science in a diversity of areas including: bear-proof containers and visitor safety, the use of technology in wilderness by visitors, quota decisions based on visitor travel simulation and visitor attitudes about intervention to adapt to climate change, and ecological restoration to fix problems caused by past human behavior. He remains focused on management solutions applied to wilderness stewardship issues relevant across the National Wilderness Preservation System. This article was invited by the Editorial Board of IJW. Growing up in Pennsylvania, and attending college in Illinois, I had little if any grasp of the concept of wilderness. My first natural resources–related job after college was as a seasonal “rec tech” (recreation technician) with the US Forest Service (USFS) in Tennessee, patrolling a lake in an agency motorboat, and mainly serving as a management presence so things didn’t get too out of control on the weekends. Exiting my boss’s office one day, a title on his bookshelf caught my eye – a tan-colored book called Wilderness Management (the 1st edition by Hendee, Stankey, and Lucas). I remember thinking, “That sounds interesting,” and asked to borrow it. I read it from cover to cover that summer and decided that I’d found my calling. That realization took me to the Tonto National Forest and the Superstition Mountains Wilderness the following winter and spring of 1984, where I lived in a platform tent at a trailhead, talked to visitors, hiked the trails, and never found that Lost Dutchman gold mine. But I did find that I loved wilderness, and my exposure to it that winter and spring confirmed my calling. I worked with a dedicated group of men and women, including fellow wilderness information specialist Greg Hansen, and I met Bob Lucas when he came to “the Supers” as part of a Regional US Forest Service training. I was motivated to apply to graduate school in Missoula, Montana, and with a bit of persistence, was accepted. I talked Dr. Steve McCool into taking me under his wing that first year, the start of a long and fruitful professional relationship and personal friendship. Right next to our Science Building on the University of Montana campus was the Forest Service Research Lab, and before long I had persuaded Bob Lucas and David Cole to round out my thesis committee. How could I go wrong with mentors and advisors like that! One thesis, two summers of Forest Service wilderness trail crew, two stints as park ranger and recreation planner/social scientist in Glacier National Park, and one dissertation later (with another all-star cast of committee members including McCool, Alan Watson, and Sid Frissell), I found myself on the faculty at Humboldt State University, on the wild northern coast of Humboldt County, California. The Trinity Alps Wilderness (USFS), one of the largest in California, is two hours inland, and a few years after my arrival, a large portion of the King Range National Conservation Area was designated as the King Range Wilderness (Bureau of Land Management/BLM), including the longest stretch of undeveloped coastline in the United States outside of Alaska. Figure 1 – Personal locator beacons make rescues much easier to request, but might they change visitor behavior? Photo by Andrew Skurka, http://andrewskurka.com/2015/spot-gen3-satellite-gps-messenger-review-long-term/. I was fortunate to quickly get to know some wonderful wilderness folks in these agencies. Bob Wick, now a wilderness specialist for the BLM’s Washington, D.C., office, was at the King Range in the 1990s. We collaborated on several visitor studies, examining issues such as visitor conflict arising from motorized beach access along a stretch of the Lost Coast Trail prior to its wilderness designation, and looking at indicators and standards for solitude. Jim Holmes in the Trinity Alps Wilderness graciously agreed to hike into various campsites every September (annually for nearly 20 years now) to meet me and groups of my students on field trips. Jim’s talks inspired my students, many of whom over the years returned to the Trinity Alps to work or volunteer for Jim as wilderness rangers. New wilderness research opportunities presented themselves as I got to know more wilderness managers and other agency folks in California. 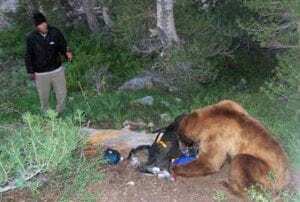 Kate McCurdy, a wildlife biologist in Yosemite who then became a graduate student in my lab, had been dealing with problem bears for years and decided she wanted to study the human dimensions of the problem. Collaborating with Yosemite biologist Tori Seher (now at Golden Gate NRA), we studied the effectiveness of food storage canisters in the Yosemite Wilderness and found that although the rate of carrying canisters was quite high, the actual rate of full compliance with food storage regulations was much lower. This was at least partly because visitors did not always take adequate steps to purchase and prepack their food into the canisters prior to the trip. They tended to overestimate canister storage capacity, and then on the first night or two of the trip found they couldn’t fit everything into them. We also found that when visitors tried to fit more than four person-nights worth of food into a canister, the chances that they would be out of compliance rose significantly. A few years later I had a chance to work in Yosemite again, this time with National Park Service (NPS) social scientist Bret Meldrum (now in Fort Collins, Colorado) and wilderness specialist Mark Fincher. With a Humboldt State colleague in the Math Department (Rob Van Kirk) and a couple of graduate students (one of whom, Mark Douglas, is now a professor at the University of Maine–Machias), we collected trail and campsite diary data from a large sample of Yosemite backpack-ers, compared it to the even larger wilderness permit database, and created an innovative travel simulation model of the Yosemite Wilderness. By adjusting daily trailhead quotas, the model predicted how many groups and people would be camped in each of 53 wilderness zones every night from May 1 to September 30, and how that spatiotemporal distribution of visitor use would change by increasing or decreasing different trailhead quotas. The idea was that managers could experiment with higher or lower trailhead quotas and resulting visitor use distributions much more quickly and easily than with on-the-ground trial and error, and without the public and political consequences. Figure 2 – A variety of canisters makes food storage easier, but preparation is needed to make sure everything fits. Photo by Kate McCurdy. Another line of research I’ve been working on recently is the role that technology, particularly handheld information and communication devices such as personal locator beacons (PLBs), plays in visitor perceptions of risk, safety, and rescue, and whether such devices may influence visitor decision making. Credit for first bringing this issue to my attention goes to Kristen Pope, who began working with me as a graduate student in 2008. The following summer we did a study in the King Range Wilderness, asking people about their perceptions of handheld information and communication technology and how it influenced their perceptions of risk and rescue. About 40% of our sample considered themselves to be risk-takers, and these risk-takers said they were significantly more likely to take chances that could increase their exposure to risk if they had information/communication technology with them. A subsequent graduate student, Jessica Blackwell, continued this line of research by interviewing 65 Sequoia-Kings Canyon Wilder-ness backpackers, both those who carried a PLB and those who did not. Her results suggest a possible increase in both solo travel and cross-country (trailless) travel in wilderness by PLB users. This has the potential to increase search and rescue (SAR) events and lead to increased resource and social impacts in trailless areas that are currently pristine or near-pristine. Ecological restoration and climate change mitigation in wilderness is beginning to command more attention from wilderness managers and researchers. Alan Watson of the Aldo Leopold Wilderness Research Institute, Dan Williams of the USFS Rocky Mountain Research Station, and I collaborated with wilderness manager Gregg Fauth on a study in the Sequoia-Kings Canyon Wilderness and examined visitor attitudes both toward efforts to restore naturalness and toward management interventions to mitigate climate change. We found broad visitor support for efforts to restore natural conditions, but little support for actions to mitigate climate change. The visitors who most value natural conditions in wilderness most support nature restoration efforts, but they are also the least supportive of interventions to mitigate climate change. What might the wilderness stewardship research agenda of the future look like? Ecological restoration and climate change mitigation will continue to be important topics for wilderness stewardship research, as will technology use in wilderness, including drones and new potential forms of access (e.g., motorized hang gliders). Research to help with managing day use in wilderness will be important as day users become an increasingly large part of the visitor population. But perhaps most important will be continued research on wilderness values that are important to different stakeholder groups, and how those may change in the future. We need to be well-informed about the changing relationship between wilderness and modern society, and how to make sure wilderness remains relevant to an increasingly diverse population. Collaborating with colleagues in other disciplines (geography, sociology, ethnic studies, etc.) should become more important and more common. I feel fortunate to be at a university like Humboldt State that values both teaching and research. The research that my graduate students and I conduct not only (hopefully) helps wilderness managers but also informs my teaching. Whether I’m discussing food storage regulations, management interventions to restore natural conditions or mitigate climate change impacts, use limits and trailhead quotas, or the potential influence of technology on visitor experiences, the research I’ve done on these topics gives additional depth to my teaching presentations and discussions with students. And I’m proud that many of those students have gone on to work in wilderness areas throughout the country, from wilderness rangers to USFS forest supervisor. I also feel very fortunate to have had the chance to experience wilderness so many times and in so many places since my first real exposure in the Superstition Mountains, including working in and visiting numerous USFS, NPS, and BLM wilderness areas, many long back-packing trips (and llama-packing as we got older) into the Bob Marshall Wilderness with Steve McCool, and kayaking and rafting trips on the Selway, Yampa, San Juan, Green, and Colorado Rivers. The opportunity to work with talented graduate students and inspiring colleagues at my university, other universities, and throughout the federal agencies that manage wilderness has been a source of joy and professional satisfaction, and I look forward to future collaborations with others dedicated to the stewardship of our wilderness resources. Martin, S., and J. Blackwell. 2016. 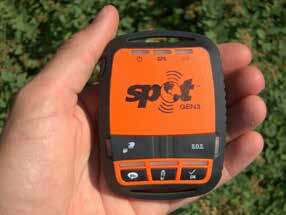 Personal locator beacons: Influences on wilderness visitor behavior. International Journal of Wilderness 22(1): 25–31. Martin, S., and K. McCurdy. 2010. 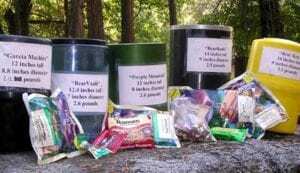 Wilderness food storage: Are bear-resistant food storage canisters effective? International Journal of Wilderness 16(1): 13–19, 31. ———. 2009. Wilderness food storage in Yosemite: Using the Theory of Planned Behavior to understand backpacker canister use. Human Dimensions of Wildlife 14(3): 206–218. Martin, S., and K. Pope. 2012. The impact of hand-held information and communication technology on visitor perceptions of risk and risk-related behavior. In Wilderness Visitor Experiences: Progress in Research and Management, April 4–7, 2011, Missoula, MT, comp. D. N. Cole (pp. 119–126). Proc. RMRS-P-66. Fort Collins, CO: US Department of Agriculture, Forest Service, Rocky Mountain Research Station. Pope, K., and S. Martin. 2011. Visitor perceptions of technology, risk, and rescue in wilderness. International Journal of Wilderness 17(2): 19–26, 48. Watson, A., K. Cordell, R. Manning, and S. Martin. 2016. The evolution of wilderness social science and future research to protect experiences, resources, and societal benefits. Journal of Forestry 114(3): 329-338. Watson, A., S. Martin, N. Christenson, G. Fauth, and D. Williams. 2015. The relationship between perceptions of wilderness character and attitudes toward management intervention to adapt biophysical resources to a changing climate and nature restoration at Sequoia and Kings Canyon National Parks. Environmental Management 56(3): 653–663. Van Kirk, R., S. Martin, K. Ross, and M. Douglas. 2014. Computer simulation modeling to determine trailhead quotas for overnight wilderness visitor use. Journal of Park and Recreation Administration 32(3): 29–48. STEVEN R. MARTIN is professor and chair of the Department of Environmental Science and Management, Humboldt State University; email: Steven.Martin@ humboldt.edu.